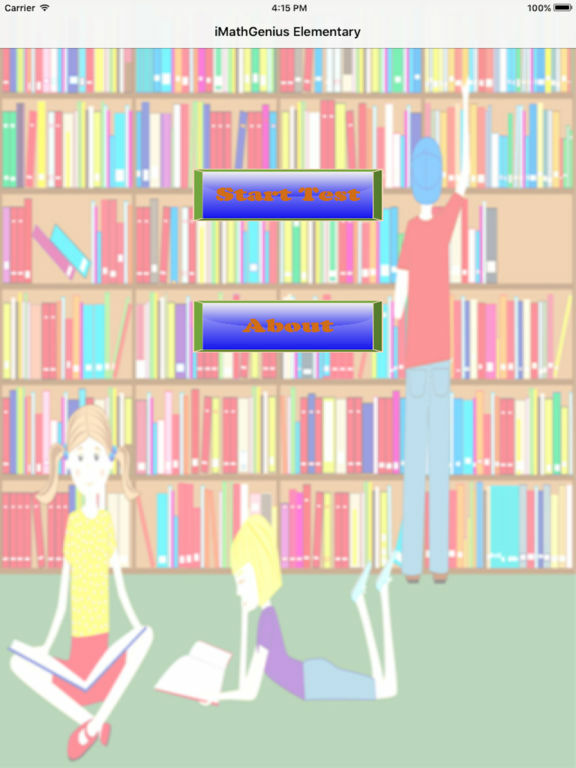 This is the simpler version of award-winning app called iMathGenius which is certified by "Educational App Store". Here is the link to the review of the app: http://www.educationalappstore.com/app/imathgenius. Many teachers in the US have downloaded this app for their class in 2016. Do you want to give your kids an early start on Math education? Do you feel your kids just play too much mindless video games? If you answer is yes, then you should ask your kids to play iMathGenius game instead. 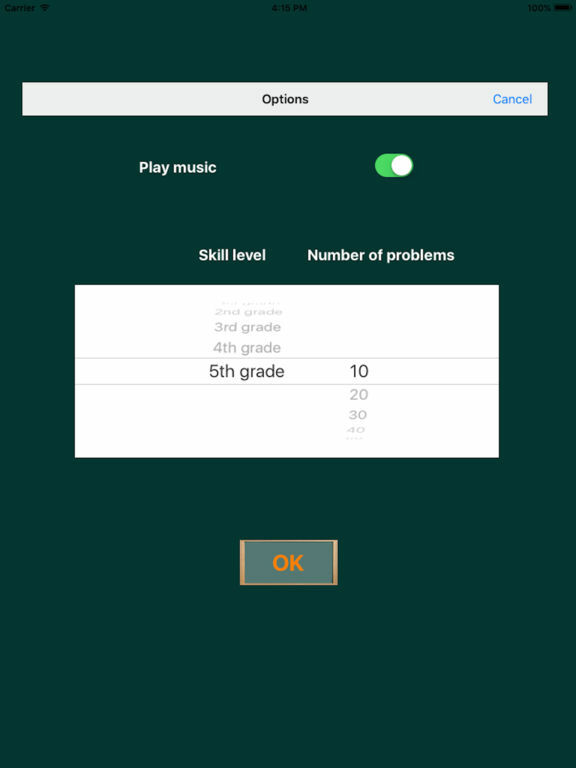 iMathGenius Elementary is a math game for students in elementary school. It can be played on iPhone, iPod Touch and iPad. It is used for training students to do quick math calculation using their brain instead of calculators. It covers almost all the math subjects taught in elementary school. During each test session, a student can get a help, or ask teachers, parents or classmates for help with any question. 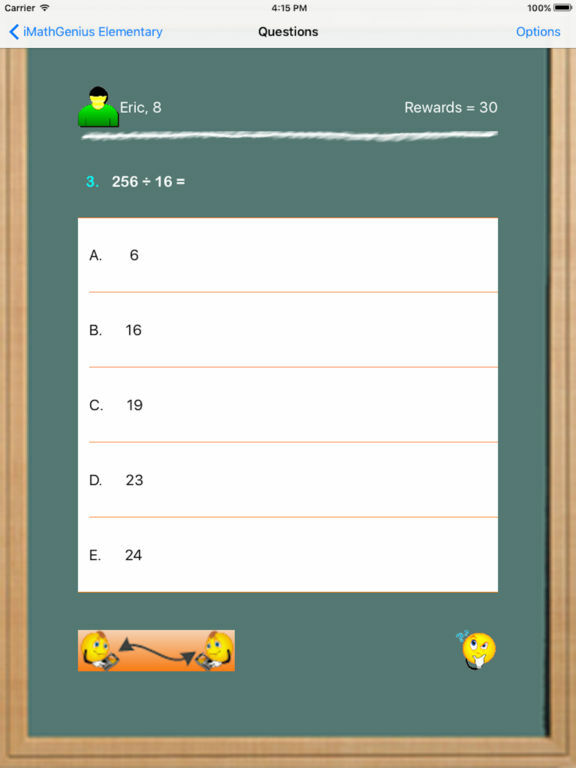 At the end of each test session, a student can view the test report, or play a little relaxing game to solve a mystery of an image with the clues given based on the reward points collected during the test. Therefore, it is fun, simple and easy to use. With a lot of practice, a student can definitely improve his or her math skill. It beats a lot of mindless video games for sure.